If you’re looking for a reliable Intel CPU for gaming that won’t break the bank, then the best i5 processors are a great place to start. Intel i5 processors have been mainstream favorites for a long time now. They routinely perform well for casual gamers and are reasonably priced compared to other CPUs. It’s no surprise that the best Intel i5 processors are still sought after today. However, with the rise of Ryzen processors, AMD has forced Intel to step its game. Beginning from the 8th generation, Intel also offers 6 cores instead of just four. And though the battle for best gaming CPU has reached a momentary armistice, Intel has launched the 9th generation i5 processors. They have the same 6 core, 6 thread configuration, but clock speeds and overall performance has improved. The 9600k, for example, has a Turbo clock speed of 4.6Ghz, which is unheard for an i5 processor. With this in mind, we decided to round up all the i5s in the market today and list out the winners of two important segments – gaming and overclocking. The Intel i5 8600k is the predecessor of the new i5 9600k. The prices are the same as well. They both retail at just under $250. The 8600k was the first i5 processor to sport six physical cores. This was done, partly to challenge the Ryzen 5 and Ryzen 7 from AMD. The Ryzen processors already offered 6 and 8 cores respectively, forcing Intel to upgrade the number of cores as well. Instead of the traditional 14nm manufacturing process, the i5 was produced using the 14++ process. This, combined with additional cores resulted in a considerable improvement in performance. Marginal upgrades in cache means you get 9MB L3 instead of 6 MB. All these factors combined resulted in increased clock speed. 4.2GHz turbo frequency without any overclocking whatsoever. Obviously, better clock speed isn’t the only result of more cores and better manufacturing processes. The reason why the i5 8600k makes our list is overclocking. Rather, the ease of overclocking. While some processors crash multiple times at high speeds, and refuse to even boot, the 8600k is a breeze to overclock and overclocks well. The range of overclocking is impressive. Remember that the maximum clock speed without any overclocking is 4.2Ghz. When overclocked, this i5 can easily hit 5.2GHz. At this speed, most games will still run and the system will boot as well. However, for stability reasons, it’s better to hover around the 5GHz mark. 4.9 to 5 would be the optimum speed. Power consumption and heat management isn’t a problem either. At about 4.9GHz, a decent air cooler should do the job just fine. However, if you’re pushing beyond that figure, it would probably be best to go in for a liquid cooling solution. Long story short, the i5 8600k is better than the i5 8400 for gaming. It slightly lags behind the i5 9600k. We’re talking a difference of 3 to 4 fps in either case here. And the only time you’ll notice it is if you’re running a top-end GPU. In conclusion, if you have an Intel setup and want to overclock on a budget, the Intel i5 8600k is the best way to go about it. However, if you’re building a rig from the ground up, AMD processors are far better for overclocking. The i5 9600k is the latest i5 offering from Intel. In comparison to the i5 8400, it is about $70 dearer. Even though it’s more expensive, a cooler isn’t bundled in as standard. It’s not all bad news, though. The 9600k is faster, more powerful, and overclock-enabled. In all respects, the 9600k offers an incremental upgrades. One welcome change is that the base frequency is now 3.7GHz as opposed to 2.8GHz. Intel has incorporated a few manufacturing changes as well. The material between the die and the heat spreader is now a solar-based thermal interface, resulting in higher Turbo frequencies. Overclocking enthusiasts have something to cheer about as well. You can hit speeds of up to 5GHz if you use a closed loop liquid cooler. For stock speeds, any decent air cooler should suffice. The result of these minor changes? Marginal improvement in benchmark performances. The improvements, at best, are evolutionary. The 9600k isn’t a game changer by any means. This is partly because of Intel’s manufacturing owes. The 14++ process is no match to the superior process that AMD uses and as a result, performance is affected. If gaming is your primary concern, you can’t go wrong with this CPU. However, if you are a content creator, AMD offers much better value. This is, in a way, true with all processors. Intel is for the gamers while AMD is for productivity applications. Gaming has traditionally been Intel’s strong suit. It’s the same with the 9600k. The processor is slightly faster and can render games better, given that it is the fastest hex-core processor. However, you won’t notice a lot of difference when you compare it to the 8400. This is because there hasn’t been that generational change that had to happen by this time. Intel has, by and large, stuck to the same 14nm manufacturing process. If you pair the 9600k with a good GPU, you can see the difference. Again, it’s quite small. About 5% on average. However, if you overclock the processor, the results improve. When overclocked to around 5GHz, you should see an improvement of about 20%, which isn’t very bad. But that level of overclocking means you have to have a better cooling solution as well. So, why is it on our list? Because it’s a fantastic mid-range gaming processor. Yes, the manufacturing process is not the latest, and it doesn’t have the maximum number of cores or threads. But all that doesn’t matter if you’re still getting a good gaming performance. The reason is, of course, clock speed and IPC. Instructions Per Cycle is the measure of how fast a CPU works and the Intel i5 9600k scores very well on this index. Most games utilize only four cores. The gaming performance depends on the strength of these cores. Intel has strong cores with high IPC ratings that make it perfect for gaming. But if you’re just looking to upgrade your processor for a better gaming experience, we would recommend the i5 8400. Spending the remaining cash on a good GPU will give you much better results. If you use a lot of content creation software that demands high multi-threaded performance, there are good AMD processors for gaming as well. They lag behind Intel chips by about 20% in gaming but make up for it by excellent multi-threaded performance. Before diving into the details, there’s something you should know: In terms of benchmark performance, this is the weakest processor on our list. And yet, we feel that this is the best i5 gaming processor for the money available today. The i5 8400 was one of the first i5 processors to offer six cores, instead of four. As stated earlier, AMD Ryzen 5 had 6 cores and Intel was forced to increase the core count here. The results are very encouraging, though. 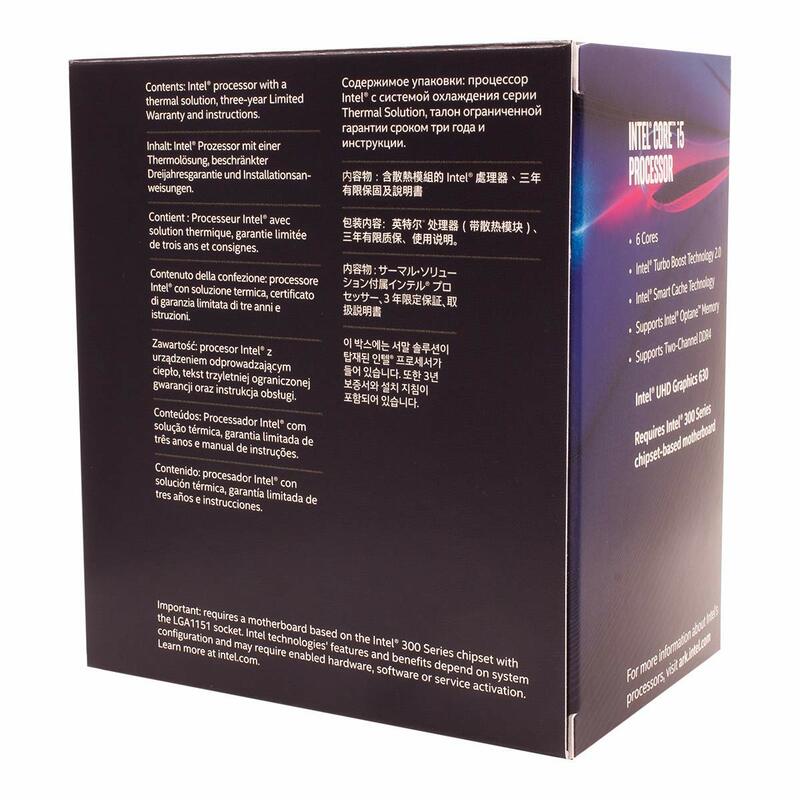 The i5 8400 is one of the very few sub-200 dollar processors that offers a clock speed of up to 4GHz. That is a huge leap when compared to the previous models. Obviously, not all cores can reach 4GHz. In fact, the base clock speed is only 2.8Ghz which is quite mediocre. But, at most times, all cores are boosted and they can all simultaneously reach 3.8GHz. What’s more, Intel will ship you a cooler for free and the processor rarely crosses the 65W mark. There are several drawbacks as well. Overclocking is disabled. If you do a lot of video editing, 3D designing, or streaming, the i5 lags behind the Ryzen 5 by quite some margin. Then there’s the disadvantage that frustrates most buyers. The processor is not compatible with 200 series motherboards. So, why does it make the list? Gaming, of course. (And a few other things.) If you don’t stream, or do a lot of media work, this is an excellent processor. For the average user, this CPU is more than enough. And, it’s about $70 cheaper than the other products on this list. This is the reason the 8400 is popular. You could argue that this is all the gaming processor one needs. Obviously, if you want the very top-end experience in gaming, this isn’t for you. However, for everyone else, the i5 8400 is more than enough. It’s also important to note that GPUs decide gaming performance. While processors are important, your graphics card is has more effect on your gaming experience. The 8400 is almost $70 cheaper, meaning you can spend more on a good graphics card, or even get the best graphics card for gaming there is. When coupled with a good graphics card, the i5 8400 is almost as good as quite a few expensive Intel offerings. The difference between many i7 processors -which are a good $150 costlier – and an 8400 coupled to a good GPU is almost negligible. The result is that you can play all the compatible games at excellent resolutions and frame rates. The primary thing to know is that i5 processors are all quite similar. In prices and performance. The only stand out is the Intel i5 8400 which is considerably cheaper. But you cannot overclock an i5 8400. Having said that, here’s something that’ll help you make a better decision. It’s important to understand what exactly you want from your PC. Is it for gaming? If so, casual gaming or top-spec, ultra high graphics gaming? Or do you want a processor to overclock? If you’re a casual gamer, the i5 8400 is more than enough. You can play at very good resolutions and frame rates. Given that it’s cheaper, you can also spend more on a GPU, which will improve your gaming experience to no end. If you want the very best gaming performance possible, the i5 series isn’t for you at all. You’d be better off with an i7 8700k. If multi-threaded performance is the primary objective of your build, skip Intel processors altogether. The AMD Ryzen 5 and Ryzen 7 outperform the i5 significantly. They’re not bad gaming processors either. Yes, they aren’t as good as any processors on this list, but in terms of multi-threaded performance, they are miles ahead. Given the popularity of the i5 processors, we are asked a lot of questions. We answer the most popular ones below. Are i5 processors still good? This question usually comes from people who have observed the recent price cuts from Intel. The answer is yes. Not only are the still good, they’re actually better now. The core and thread count is higher, the price has dropped, and the IPC scores have actually increased. So, if gaming is important to you, yes, the i5 is still a very good processor. Also, thanks to the increase in core and thread count, i5 processors are now better at handling multi-threaded tasks too. Just to be clear, as far as multi-threaded performance goes, AMD is still the king. But i5 processors have improved as well. Are all i5 processors the same? Look at it from the outset, and you’d be tempted to say yes. I mean, they all cost pretty much the same, have the same core and thread count, and similar clock speeds. But, there are a few minor, but important differences between these processors. For example, the i5 8600k is a very good processor, but if gaming is what you’re after, you’d be better off with the cheaper i5 8400. This is because the 8600k is for overclocking enthusiasts and overclocking usually comes at a premium price. This is just one example. The fact is, though they are all broadly the same, they are aimed at different audiences. So, each model has different strengths and weaknesses. If you’re in the market for a CPU, research is key. Are i5 processors good for streaming? They aren’t bad, but we wouldn’t recommend i5 processors for streaming. For the same price or less, you can get AMD processors which have better core count. For tasks like streaming and video editing, core count is important and the simple fact is that AMD offers more cores than Intel for a given price. Is the Ryzen 5 2600 better than Intel i5 processor? Depends, really. This much is true. Both are excellent gaming processors. But gaming is what you’re after, the i5 is better. Not by a huge margin, but it is better. However, Ryzen has its own set of advantages. It’s far better at handling applications that need strong multi-threaded performance. So, it really boils down to your requirements. Can all i5 processors be overclocked? No. Not all of them can be overclocked. The best way to find out if you can overclock an Intel processor is to look for the ‘K’ badge. If there’s a K suffix, the processor can be overclocked. Or else, no. Example: i5 8600K, i7 8700K, i9 9900K and so on. So, Is the Intel i5 Processor Right for Your Build? Having discussed all that we have, this is the bottom line. The i5 CPUs are always on the bestsellers list. And for good reason. They are, irrespective of slight changes in new iterations, one of the best all-rounders in the market today. They are very good at gaming. Most gamers, to this day, play at 1080p. At those resolutions, with a decent GPU, there’s practically no difference between an i5 and an i7. Those differences come to the picture only when the CPU is coupled with expensive, high-end GPUs. They are also more than capable at non-gaming tasks. Clock speeds, the number of cores and threads all add up to non-gaming performance as well. Media creation takes a hit, but that’s AMD’s turf after all. 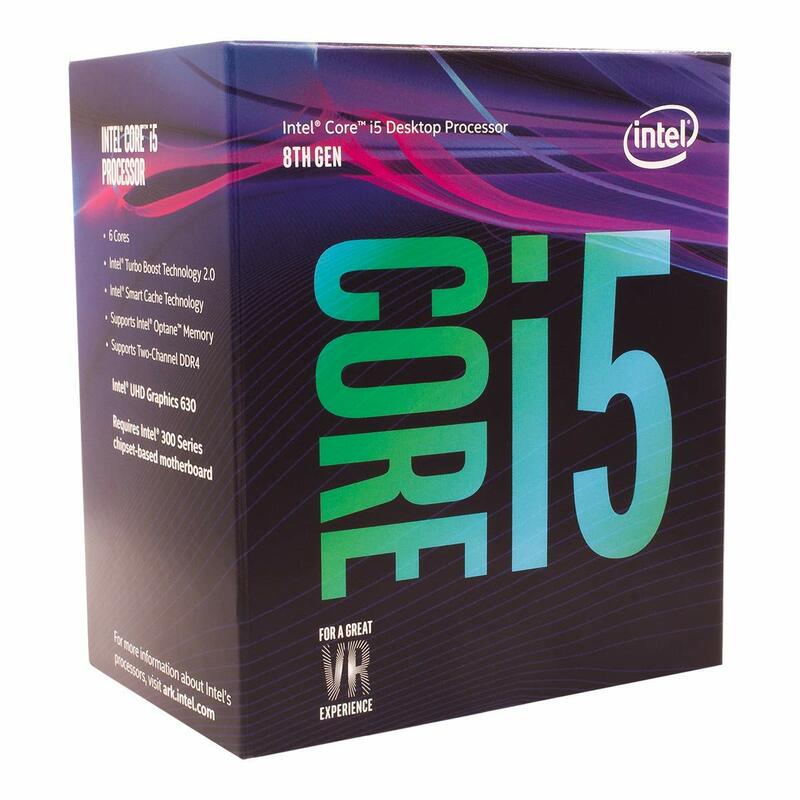 If you’re a casual user who wants excellent gaming performance and if you want it at a reasonable price, the Intel i5 processors are the best out there.